Get out of town and onto the beach while leaving all the organizing to the experts. 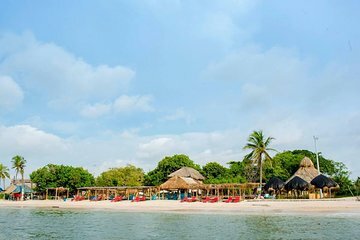 Get picked up at your Cartagena hotel and settle in for the drive, followed by a speedboat ride to Barú. Your time is yours to spend as you please, soaking up the sun on the white-sand beach, swimming in theclear water, and savoring an included Caribbean-style lunch with a local beer.